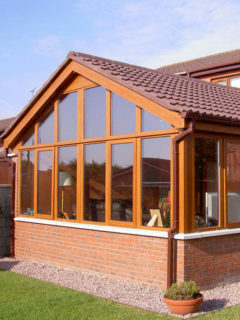 A Sunroom is an extremely cost-effective way of adding a beautiful, highly practical living space to your home, without having to incur the enormous expense of an extension. 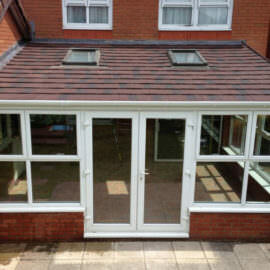 The Sunroom is different to other styles of conservatory, in that it has a traditional tiled or slate roof. This is what enables you to enjoy the outdoors all year round: soak up the light evening rays peering through your window during the winter, or soak up the heat of the sun in a safe, shaded, comfortable environment during the summer. Finally, as with the conservatory, the sunroom offers enormous flexibility as a living space: whether you want to use it as a general family room all year round, as a formal dining room for those special family occasions, or as a kids’ play-room, the world is your oyster. Neither indoors nor outdoors, a sunroom allows you to enjoy nature all year around while being shielded from the weather. Think of it as your private oasis where you can soak up the warmth of the sun in winter and relax in a shaded space during the summer. 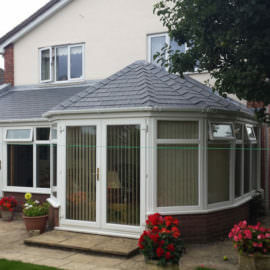 A traditional tiled or slate roof optimises natural light and differentiates it from conservatories. Whether you are looking to entertain friends surrounded by the beauty of your garden or watch the sunset with a loved one, the possibilities are endless. With a sunroom, you can create your dream space and increase your living area without incurring the enormous expense of a home extension. Like a conservatory, it offers immense flexibility of use. Family room, children’s play space, formal dining area for special occasions; it can be anything you want! 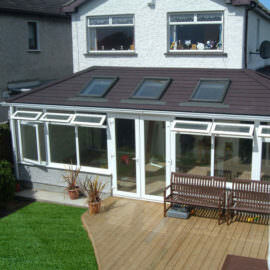 Sunrooms can be created out of a variety of materials including wood, brickwork, aluminium or the latest rage, uPVC. Vinyl is very popular because it is the cheapest, yet it offers better durability and insulation, and requires minimal upkeep. How you want to use the space is a critical factor in selecting a sunroom design. Family room: A glass-enclosed sunroom can become the family’s favourite space for relaxing during the day and star gazing at night. Adding a fireplace will make it cosy when the weather gets chilly. Comfortable furniture with light and bright curtains will complete the space. Decorate with your favourite indoor plants. Office: Is your existing office space dark and uninspiring? A sunlit room will enhance your mood and productivity. You can watch the kids while they play in the garden without having to put work aside. If you want some privacy, consider built-in blinds. Extra dining space: This is a great spot to host dinners for family, friends as well as business associates. Depending on the size of your sunroom, you can have separate sitting and dining areas or even put in a bar and outdoor kitchen. Game and hobby area: If you have children, the sunroom offers the perfect place for them to play throughout the year. Consider creating window seating with comfortable seat pads, colourful cushions and storage underneath for books and toys. Put floor mats to designate play areas. Add a pool table for the adults. Everyone loves a bit of friendly competition. Not all sunroom installers are the same. Here are few steps you can take to protect your investment. Compare two or three quotes before selecting a company. Reliable builders like the Home Design Group offer free-in home consultations. 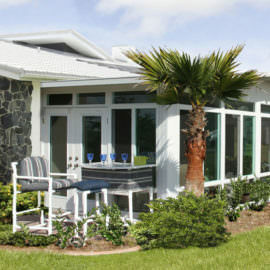 Choose a sunroom design and materials that complement the architecture of your home. Also think about how it will add to your property value. 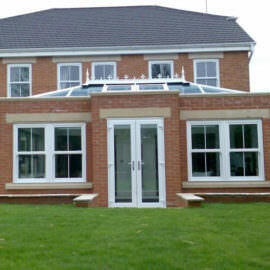 Consider PVCu frames and glass with double glazing as they provide enhanced insulation and thermal efficiency. 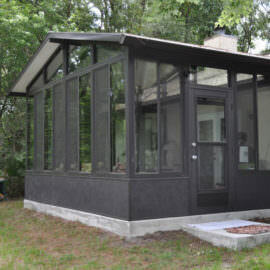 Check that your sunroom meets local building codes. Adding built-in blinds can help with privacy, heat and light control. Pay attention to safety, the locking features should provide maximum security. While sunroom design and installation can be a complex process, at Home Design Group we ensure that is a seamless and satisfying experience. Count on us to turn your patio into the most-loved place in your home. Book an appointment for a free sunroom design consultation or request a call back.